With Halloween just around the corner, people are starting to get their ideas for what they want to dress up as together. With the release of Guardians of the Galaxy, X-Men Days of Future Past and The Amazing Spider-Man 2, and Captain America: The Winter Soldier, I bet we are sure to see lots of Rocket Racoon, Groot, Star-Lord, Beast, Wolverine, Quicksilver, Captain America and Spider-Man. If you are thinking about going as Wolverine and want to make your owns claws, you’re in luck. 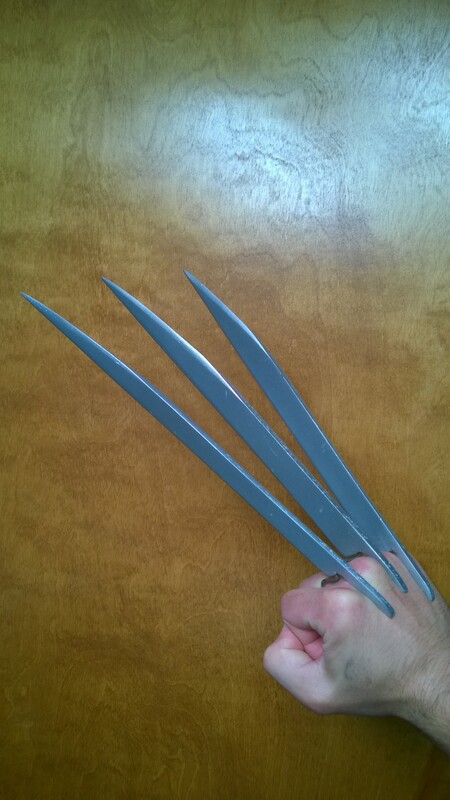 Imgur user makeitifyoubelieve created some DIY fiberglass Wolverine claws, made from scratch. He based the design off of stills from the movie X-Men Origins: Wolverine. Using the ratio of Hugh Jackman’s forearm to the size of the claws, he determined the claw length, thickness, and how far the bend was down them. 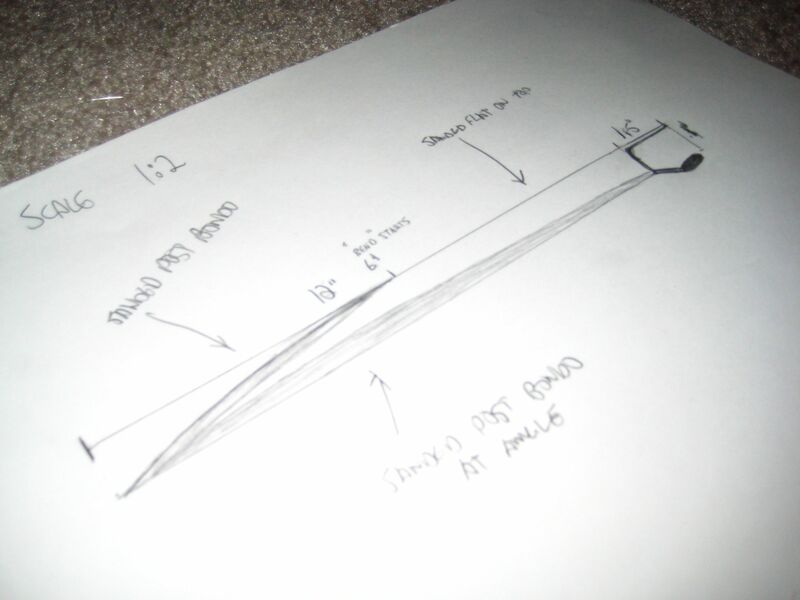 He then sketched it out and went to work. 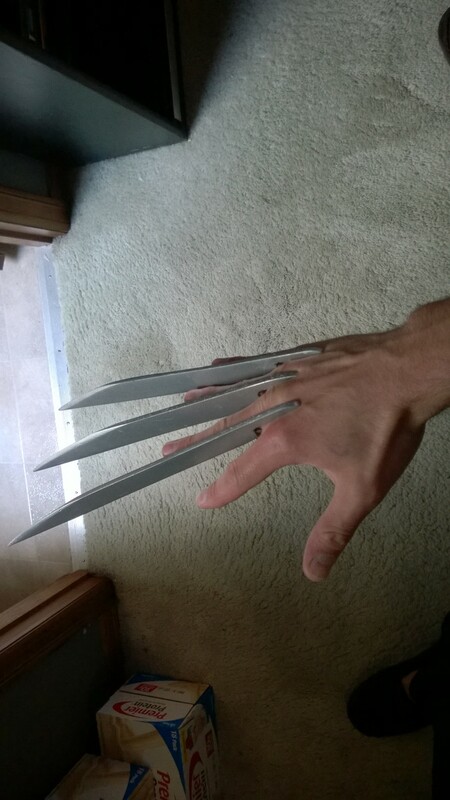 Using aluminum foil, cardboard, fiberglass matte, fiberglass resin, nitrile gloves (you’ll want gloves because fiberglass matte is itchy and the resin is sticky), scissors, heat gun (for drying the resin faster if it’s cold outside) and a dremel tool, he made, cut out, sanded and spray painted 6 Wolverine shaped claws. For the last steps, he drilled holes in the backs of the claws where he put in pieces of coat hanger and super glued them in place, and then molded the hangers around the palm of his hand where he attached them to a wooden dowel. As a warning, he states these claws are sharp. He says that if you wanted something safer and less sharp, you could probably use some kind of hard latex or foam that would retain it’s shape, but still be flexible.